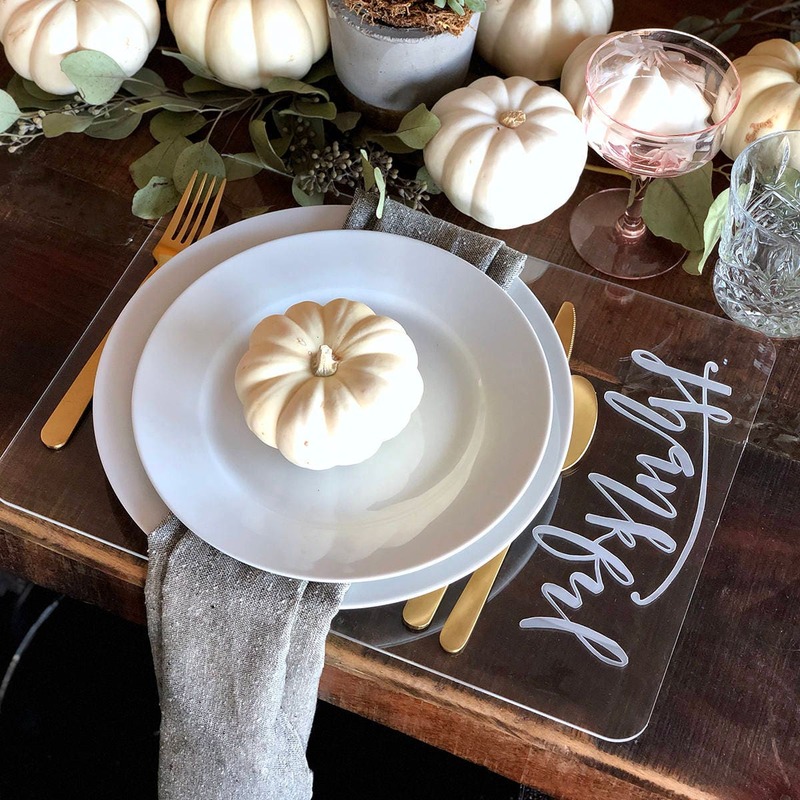 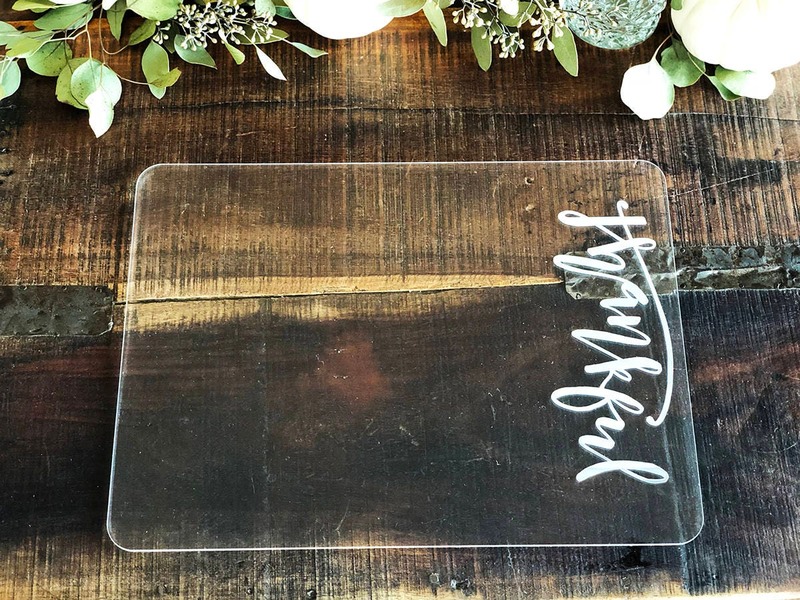 The placemat measures 11" x 15" and is 1/8" thick clear acrylic. 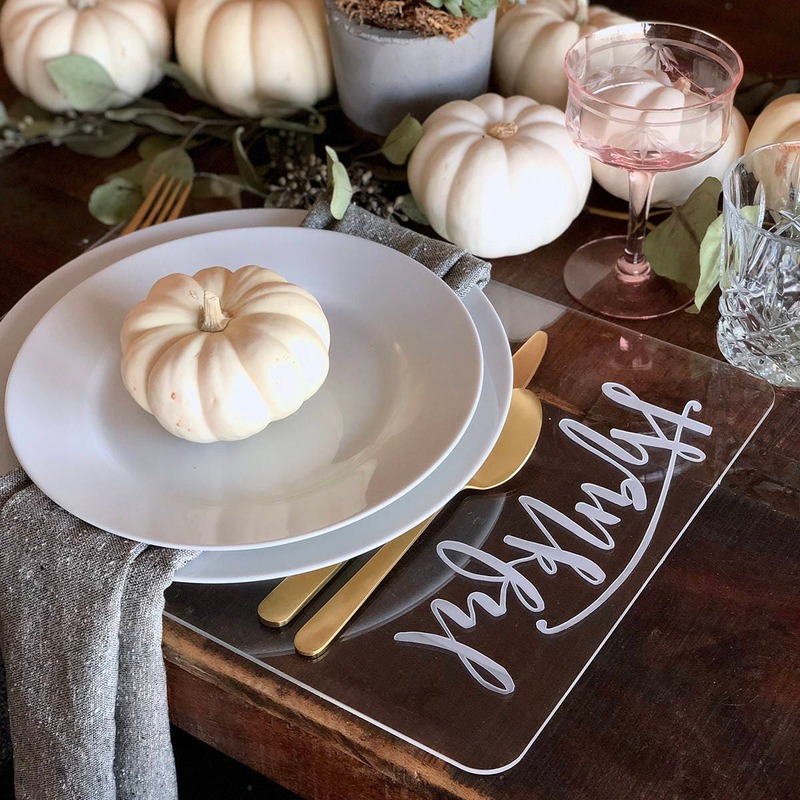 The custom thankful design is engraved in the acrylic and measures approximately 8" x 3.5". 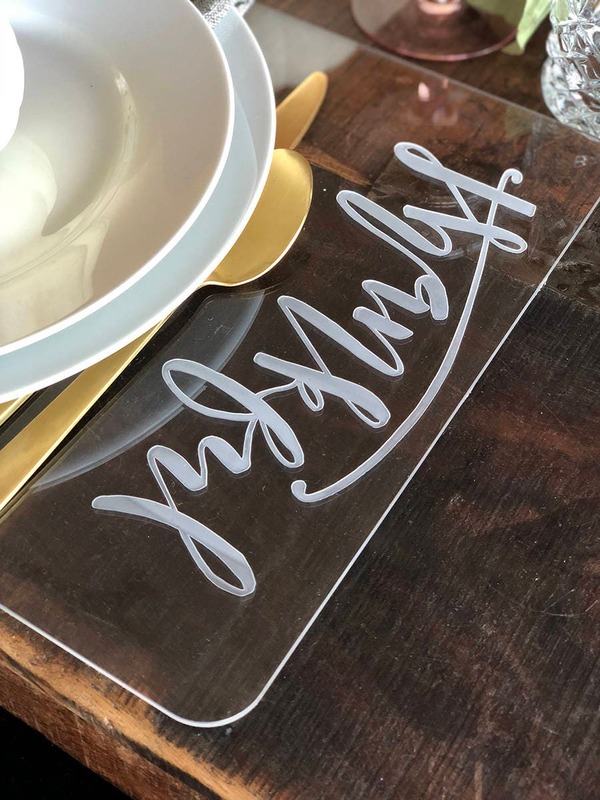 *Note, clear acrylic will scratch if not treated with care.